Provide comfort for the family of Mr. Raymond Jefferson with a meaningful gesture of sympathy. PLEASE NOTE: Mr. Jefferson will lie in state on Friday, 10-11am in the chapel. We encourage you to share your most beloved memories of Mr. Raymond here, so that the family and other loved ones can always see it. You can upload cherished photographs, or share your favorite stories, and can even comment on those shared by others. Provide comfort for the family of Mr. Raymond Alexander Jefferson by sending flowers. 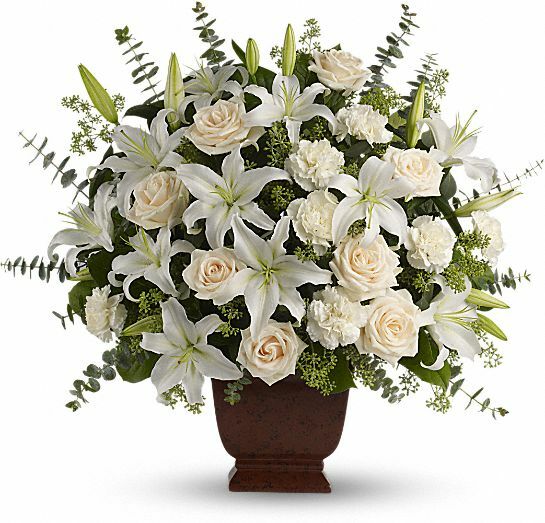 Heartfelt Sympathies Store purchased the Loving Lilies & Roses Bouquet for the family of Mr. Raymond Jefferson. Words can describe how much I miss you. I wake up every morning hoping this is a dream. This is so hard for me. I watch your crazy videos on your phone everyday I listen to your voicemails on my phone hoping it will put a smile on my face. I can’t stop crying. We miss you daddy. I love you old man. Always your baby girl Tamara Jefferson.